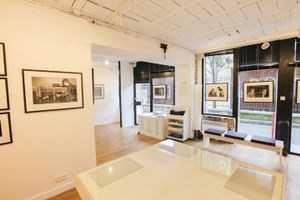 This 70 sqm gallery space is close the the arty area of Saint Paul and is perfect for art exhibitions, pop-up events and showrooms. 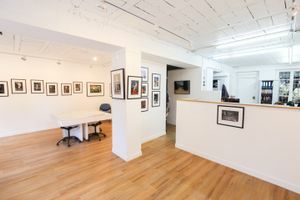 This space has a unique atmosphere, with a mix of modern and rustic interiors. The frontage is original with wooden beams and stone, there are large windows white are great for displays and allow lots of natural light into the space. The space is divided by archways and has an interesting layout. The exposed white floorboards in the ceiling against the pristine white walls is a minimal yet characterful feature. 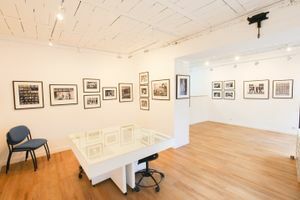 The gallery is well-equipped with Wi-Fi, office equipment, furniture and lighting. 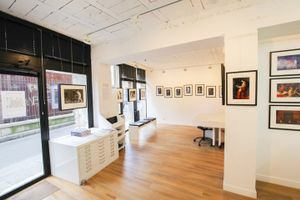 Situated close many reputable art galleries this is an ideal for creative brands and artists to host their pop-up. 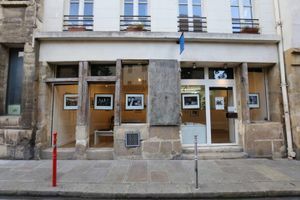 There area is frequented by art lovers and tourists alike and this gallery offers great exposure.